It’s a struggle to get water down for most people. I do like to drink water but sometimes I just crave flavor (mostly when I’m eating a meal). 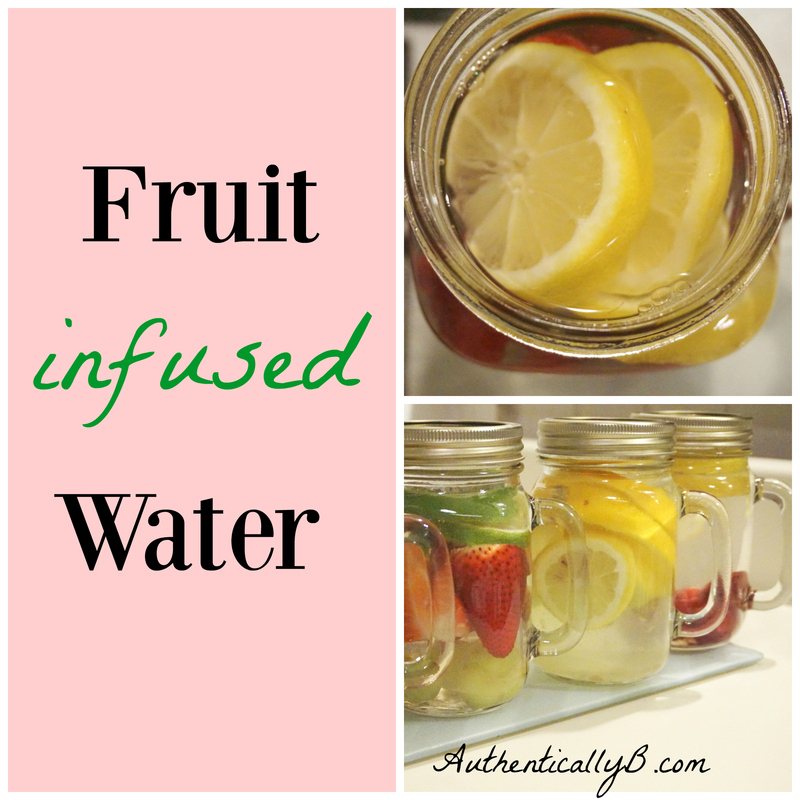 So you guessed it…I decided to try my hand at fruit infused water. Of course I started with my Pinsperation (pinterest inspiration) and jotted down a few combinations I wanted to try. Many of the combinations called for herbs like mint but I want to test out the fruit flavors on their own first. It’s really pretty simple to get started. Wash your fruit well and follow suggestions for portions until you know what you prefer for the strength of the flavors. Put the lid on and put it in the refrigerator over night. The longer you wait to drink it, the stronger the flavor of the fruit in the water. I will keep you updated as I try different fruit combinations and learn new tips. The first one I will try is lemon/raspberry and the second will be grape/strawberry/lime. Happy hydrating, enjoy!